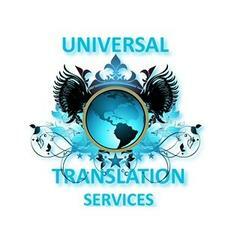 Universal Translation Services provides high quality professional translations, efficient localization and excellent DTP services at affordable rates. We work 24 hours a day, 7 days a week for you.<br>Professionals work for our team on a full-time basis and are regarded as expert speakers of their native language.Our offices in Aventura and Miami, Florida are open around the clock to suit anyone's needs. We also provide certified translation for USCIS at the lowest rates in the market.